Our committees are made-up completely of volunteers with interests, skills and a passion for serving the community. Not only do the committees directly serve refugees from Burma, but they also allow committee members to grow and develop personally through service learning. The committees are designed to encourage self-sufficiency, connect people within our community, and develop their skills and interests. Volunteers join committees based on skill and area of interest. The committees create a space for refugees to participate, be involved, and to encourage and share knowledge. 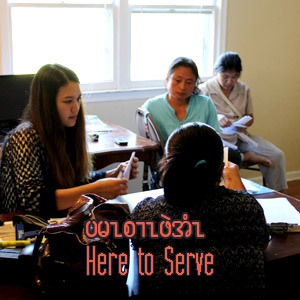 The committees serve as a connection to English-speaking individuals who also volunteer on committees, sharing their knowledge and providing helpful support. Our committees allow for collaboration and team building that increase knowledge and self-sufficiency. We work to teach and empower newly arrived refugees to become a valuable and well-integrated part of the Nebraska community. If you have one or two hours to share your knowledge and/or skills or would like to explore an area of interest, we hope you will contact us about joining a committee. Volunteers help plan workshops, parties, meetings, events, and fundraisers, create social groups for making new friends and provide educational opportunities for committee members and refugees alike to grow and learn from. Please contact us: info@karenksn.org and we will setup an appointment. We value your help and would like to get to know you and see how your skills and interests can be put to great use! 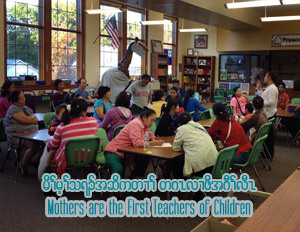 A primary goal of the KSN is to provide social services to meet the needs of Karen and Burmese refugees. The KSN partners with local community organizations and churches, and is actively seeking grants and donations to enhance our current services and to meet additional needs. Our social service programs are designed to connect refugees to mainstream services that help meet their basic needs and become increasingly integrated and independent. We partner largely with The Center for People In Needin Lincoln to provide many refugee services. Reading mail, such as utility bills, insurance forms, bank notices, appointment letters, court documents, police tickets, letters from the Department of Health and Human Services (DHHS), medical forms, etc. Setting up, rescheduling and transportation to appointments including doctor, dentist, school, DHHS, job interviews, social service organizations, etc. Employment assistance, including searching for jobs, applying, creating resumes, preparing for interviews, physical wellness check and orientations. Immigration issues, such as filing for a Green Card, Citizenship, Travel Documents and Refugee/Asylee Relative Petition. Computer lab, used to teach basic typing skills, email, internet, research, online applications and other forms. Read more about our office. 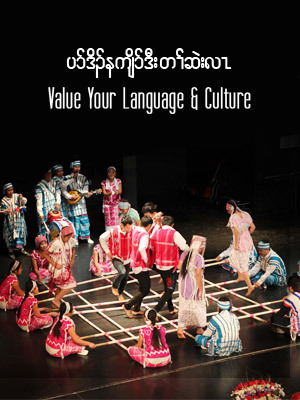 KSN Cultural Committee is dedicated to preserve the culture and heritage of refugees from Burma for their benefit and the benefit of the larger community. We maintain our cultural identity and educate the community in a variety of ways, including participation in local festivals, events and activities. We would like to say thank you to organizations, churches and individuals who have supported the integration of refugees from Burma into Nebraskan society. 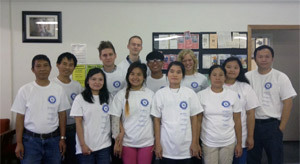 The KSN enjoys sharing the culture of refugees from Burma, while also learning from American culture as well. We are happy to perform or present information at your event. If you are interested in learning more about refugees from Burma, please contact us. Presentations: During lunch, between meetings, or through an organized workshop, the KSN shares cultural information about refugees from Burma through a PowerPoint presentation. This includes general information about our people, native lifestyle, education, healthcare, and much more. Fashion Show: Traditional fashion helps tell the story about our heritage. We go to local fashion shows and also have then in our community. Cultural Dancing: We love to remember. recognize and share our heritage through cultural performances. We have participated in local festivals, events and other cultural activities in Nebraska since 2007. Classes: in order to maintain our culture and pass our traditions on to the next generation, which is very important to us, we offer a variety of edcuational classes. Dance Class: This 8 hour per week, 12-week long class teaches participants traditional Karen dancing. Weaving Class: This class teaches participants the process of making traditional clothing, using a Karen loom, and weaving a variety of designs. Language Class: We offer language classes that teach participants the basics of reading, writing, speaking and listening in Karen. This is a group of people who work relative to or in the interest of education. We believe education is the key to future success for individuals and the greater community. As a society of refugees, we work closely with local schools, teachers, and other agencies to meet the educational needs of learners and support refugees from Burma in reaching their highest potential and meeting their educational goals. Through partnering with organizations, we provide opportunities to increase the education of students and adult learners. We connect refugees with speakers and organizations who provide training in a variety of educational areas. We recognize the importance of parent and family engagement in student education. We partner with the public school districts and other agencies to teach parents how to engage in their student's education and be partners in their learning. Many parents come to the United States with little or no educational background, and therefore do not know how to advise their children. We want refugee parents to have the support and knowledge needed to encourage their children. With the guidance and support of school districts, community centers and literacy organizations, we provide educational workshops regarding the overall education system, as well as targeted areas that parents have expressed concern and interest in. We have a strong partnership with the public schools and are grateful for their ability to go above and beyond in connecting us with educational resources. The KSN Women's Committee works to help women in our community move toward self-sufficiency. Because of the social, cultural, and lifestyle differences between the refugee camp and US society, women have difficulty becoming well-integrated into American society. Lack of education and resources in the refugee camps, as well as new language barriers create challenges that prevent women from receiving the support and gaining information. Our Women's Committee provides an environment where women can support one another, increase their education, and develop leadership skills needed to reach their potential and attain self-sufficiency. This Committee is a source of support for family problems, concerns with children and teens, marriage, death, abuse, women's health, pregnancy and many other issues of concern. We facilitate educational information, workshops, speakers and what resources are available for women refugees. We welcome an individual or agency to partner with us to make our journey smoother to having a better life in Nebraska society. If you want to partner with our team please don't hesitate to contact us at info@karenksn.org. 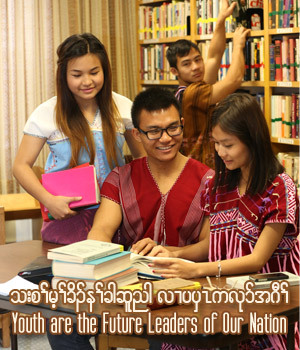 The goal of the KSN Youth Committee is to create a space where Karen, Zomi and Karenni youth in our community can grow, be creative and unique, and feel empowered to reach their dreams and achieve life success. The Youth Committee is comprised of youth of all ages, including elementary, middle and high school, college and university students, as well as adults interested in working with youth. We join together to foster leadership, education, and success. Our youth are encouraged to lead by example and develop positive values, such as helping their families and volunteering in the community. Our committee works to keep youth away from high risk behaviors, such as drinking, drugs and smoking and instead encourages them to maintain healthy lifestyles. We host events, workshops and activities for youth where they have the opportunity to learn about each other and grow together through education and service. Friendships, networking and connections serve as a bridge for youth to make smooth transitions from one education area to another. As immigrants and refugees from an under-developed part of the world, it is not easy to learn the customs of life in a new country without community collaboration. The foundation of our team is to strengthen our youth so they continue to be successful in education and life. We give special thanks to our local community for supporting us. We welcome anyone interested in youth development to join us. Your participation matters and makes a difference in helping us grow in our community. Our News Committee is comprised of members who are interested and skilled in writing, drawing & media. Social media is a key to outreach and allows individuals and communities to easily connect with one another. Our goal is to provide up to date information to communities, receive common knowledge, and to become integrated into American society. We are looking for a volunteer English writer and a volunteer web designer to update our website.